Good morning everyone! I am getting the day started because in just a few hours I will be heading out of town to attend this year’s Wake and Bake Weekend hosted by the awesome Less Than Jake. While packing bags and getting ready I have one of my favorite shows playing in the background, Sons of Anarchy. 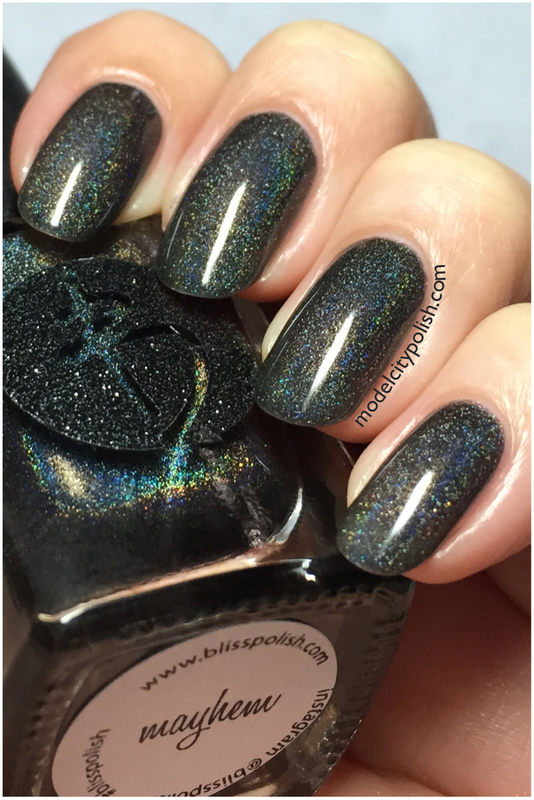 I thought this would be the perfect time to share two lovely blends from Bliss Polish’s SoA Collection. The SoA Collection consists of 13 awesome blends all inspired by the series. 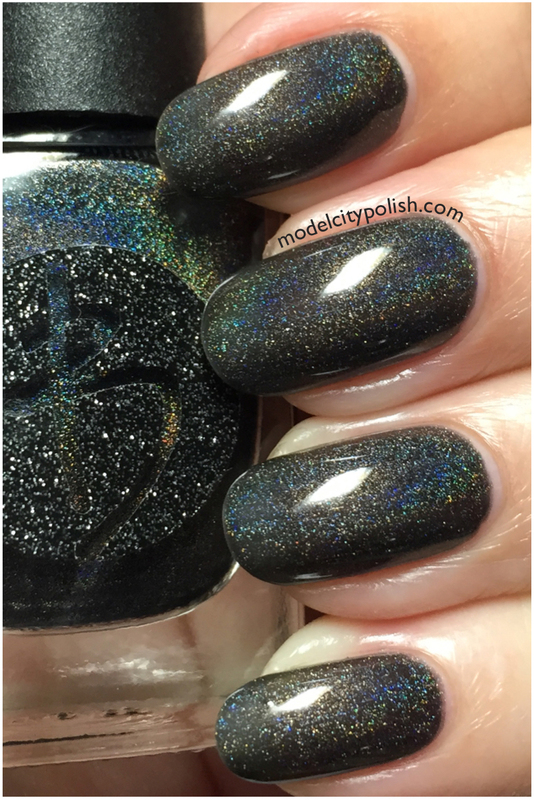 First up we have Mayhem, a beautiful black linear holographic blend. 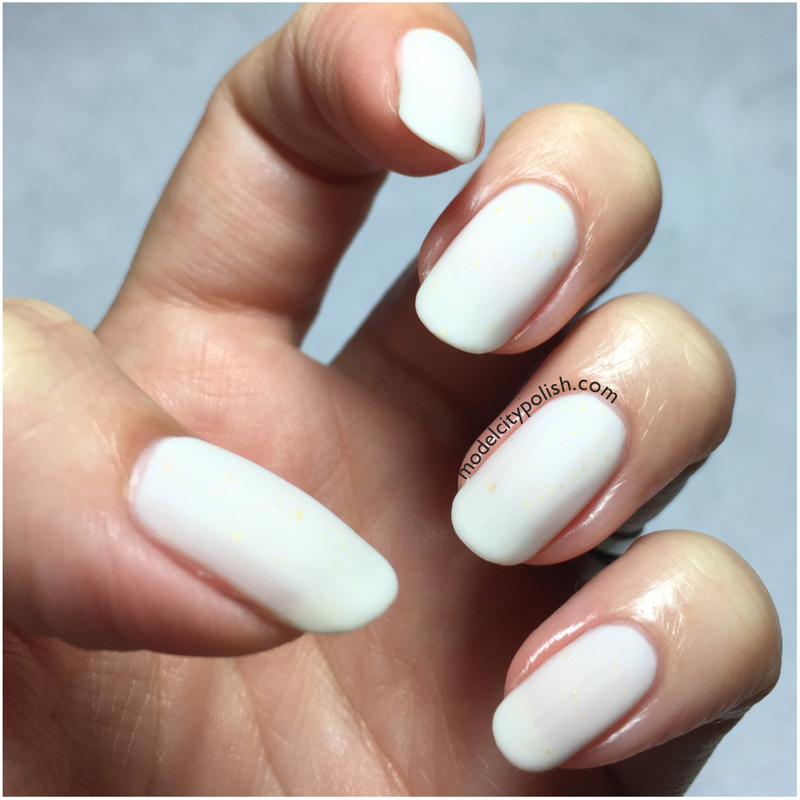 Application and formula were both amazing! The coverage was great and had a stunning glossy finish. In my photos I am wearing just two coats of Mayhem. Next up we have Charming. 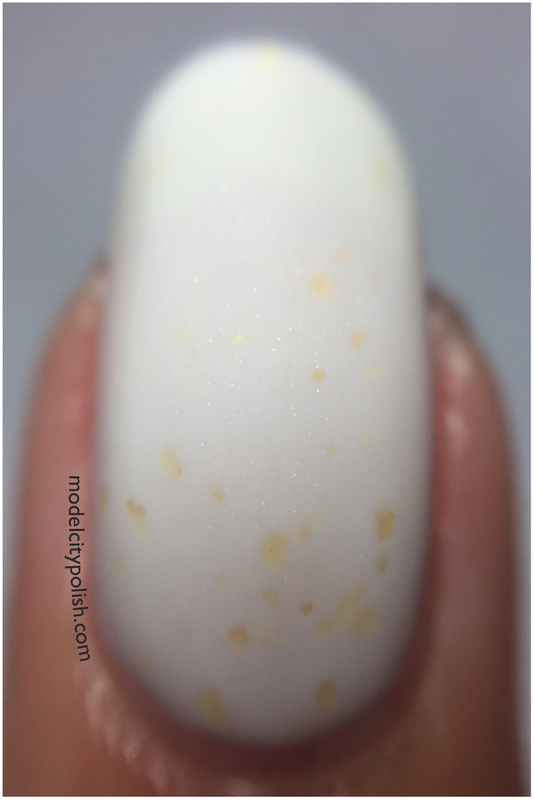 This is a beautiful matte white crelly with a soft gold shimmer and gold flecks. Application was easy and dry times super quick. 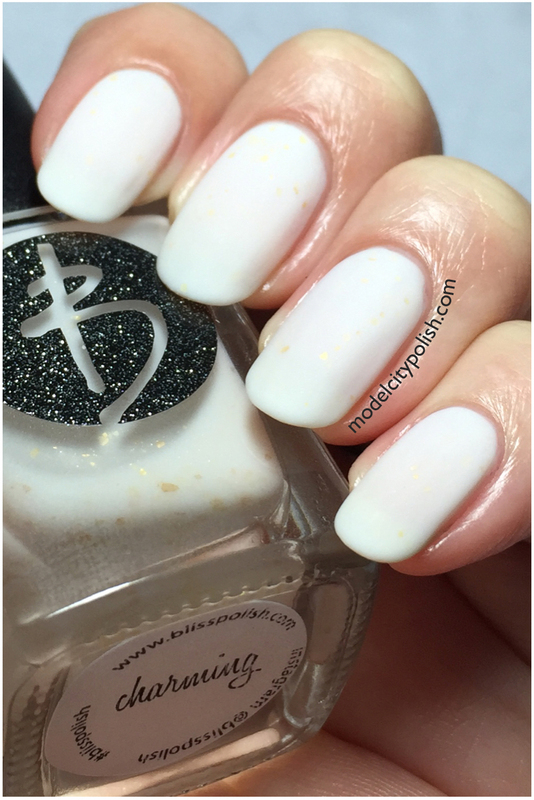 I really loved the chalky look and decided to skip on the top coat so you could see it in its natural state. In my photos I am wearing four coats of Charming. 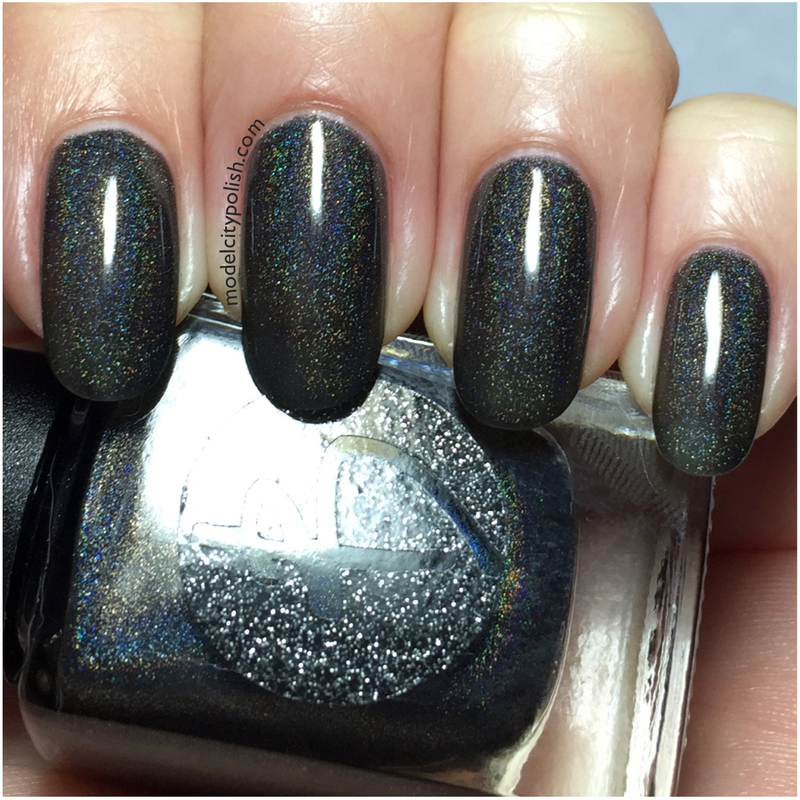 So what do you guys think of the Bliss Polish take on SoA? I love it! I do wish the Charming was a little more opaque but the chalky finish is stunning so it totally makes up for it. 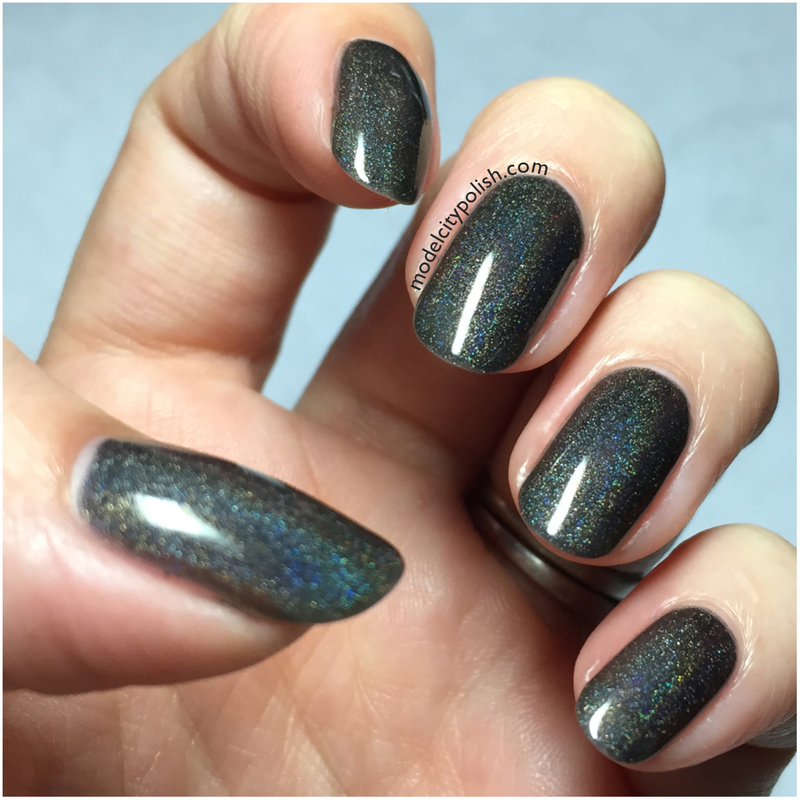 Mayhem is a great linear black holo and the glossy finish is amazing. 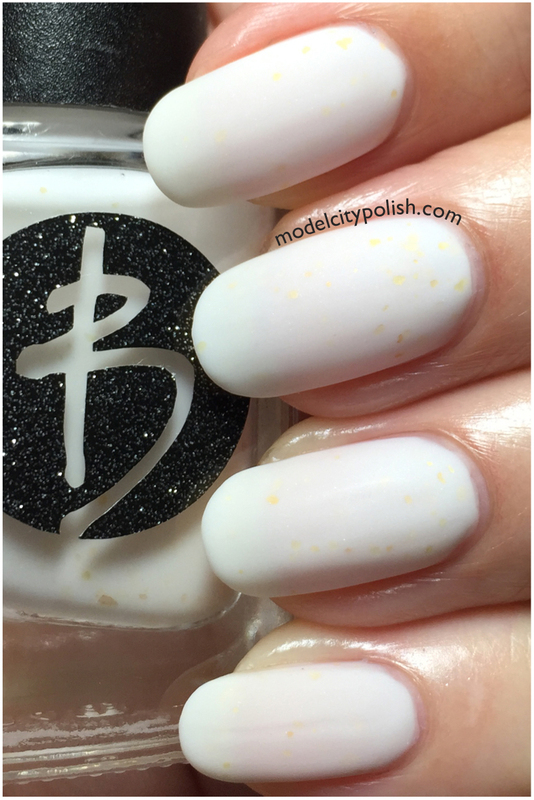 Be sure to check out the rest of the SoA Collection, plus more amazing goodies from Bliss Polish, and give them a follow on Facebook and Instagram. Thank you so much for stopping by today and I will see you all again really soon.